This article attempts to identify things that are still missing in each of the various mirrorless camera systems. This article updates and replaces a small section that used to appear in the Articles section of this site. We have three body choices and they range from entry level to a near DSLR level. We also have seven EOS M lenses, through three are mid-range convenience zooms. Quite a few compact primes (at minimum: 16mm, 33mm, and 50mm). Fast primes (the above could be f/1.4 or f/2 and help solve this, but right now we have only one f/2 option, and that clearly makes for a gap with other “full” systems). Fast or semi-fast fixed aperture zooms (16-50mm, 50-135mm, either f/2.8 or f/4). Long telephoto zooms (50-300mm, or anything that would get us to 400mm equivalent). The bigger question is whether Canon actually wants to fill any of these holes, or whether they just see the EOS M as a gateway system that’s now reasonably complete. I fear the latter. Which means that if you want something beyond what the EOS M system provides, Canon really wants you to buy one of their DSLRs. As a complete stand-alone system that can solve an ILC customer’s full set of needs, the Canon EOS M currently doesn’t come close for serious enthusiasts; it really only satisfies the lowest common denominator consumer. Fujifilm now has a full set of products. I’d tend to argue that Fujifilm has a few too many camera options. The X-A and X-M lines seem overly represented by models and Fujifilm really only has one small, light zoom lens option that match up well with them. Longer telephoto primes. The prime lineup currently stops at the 90mm f/2. At some point we really need something like a 200mm f/2.8, maybe a small handful of telephoto primes of which the 200mm is the mid-point and anchor. More niche options. Tilt/Shift, macro, and a host of other speciality lenses are currently missing or in short supply in the X system. Some better telephoto zoom options. Fujifilm could really use a 50-140mm f/4, and probably a better 55-200mm option. Accessories, particularly flash, are one area where Fujifilm also needs some additional options. This new medium format camera has one giant hole: lenses. We have seven lenses now, with 18mm plus 35-80mm (equivalent) covered decently. The gap between 18mm and 35mm equivalent seems like a real gap that needs quick filling. There’s also the question of flash, as with the smaller APS systems Fujifilm makes. A full radio-activated wireless flash system controlled from the camera seems like another gap to be filled. Another new medium format camera, and with the same hole: lenses. Hasselblad has produced four prime lenses, two wides a long normal, and a short telephoto. Four additional lenses are coming, including the first zoom, but even once all these lenses are out the lens portfolio will still likely seem light to most. I’m not quite sure what to make of the TL/SL cameras. Why? Well, the TL seems to be targeted at convenience (variable aperture and smaller lenses), while the SL seems to be targeted at highest potential image quality and has produced some of the biggest and heaviest mirrorless lenses we’ve seen to date. This clearly seems by design (strategy). Thus, who am I to say that the TL needs more primes and some faster zooms and the SL needs some smaller lenses? Neither seem to be in Leica’s future, and intentionally so. Thus, I think you only buy into the Leica approach if the model you like has the options you desire. Whatever gaps exist in the Leica system are there because Leica doesn’t see them as gaps. First off, until evidence to the contrary appears, I’m of the belief that the Nikon 1 is a dead system. 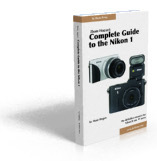 Nikon did not release anything for the system in 2016, 2017, or 2018, and you have to go back to mid-2015 to see anything that says the system still has a pulse. You also have to go all the way back to March 2014 to see any new lenses for the Nikon 1 system. No DSLR-like camera. The V1 and V2 were DSLR-like with EVFs, the V3 went to an optional EVF, which is not the same thing. No AW1 update. The AW1 is a unique product that’s highly useful, but Nikon hasn’t produced anything new in the AW aspect of the line since its introduction. A full set of primes. We’re missing a 9mm and 13mm prime at a minimum. Fast zooms. Everything in the Nikon 1 line is convenience-oriented zooms with variable apertures. A 9-30mm f/2.8 is missing, as is a 30-100mm f/2.8. Again, I don’t expect these holes to be filled. Good news. There’s virtually no substantive gaps these days in the m4/3 system. Considering that we’ve had almost 50 m4/3 cameras from these two companies, you’d have to say that if there were still any real gaps, then they should just get out of the business. No truly small-as-can-be camera. The old GM offerings are missed, I think. I’d like to see a 20mp version of that minimal camera. Speciality items such as tilt-shift lenses are still missing (though you can mimic them by using adapters). If all Olympus and Panasonic did at this point was iterate and improve what they’ve already produced, I think virtually all of the m4/3 crowd would be perfectly happy. No followup to the A5000, thus no small rangefinder style camera without an EVF. No replacements for weak lenses, particularly the 16mm f/2.8. Weak prime lineup overall: missing 14mm, and a 20mm that tries to straddle the 28mm/35mm equivalent gap. Incomplete and weak zoom lineup: only one telephoto option, and a lot of fairly weak optics in the kit and mid-range zooms. Sony is replaying the Canon and Nikon mistakes in DSLRs: "hey, the crop sensor camera is just an entry level product and shouldn’t actually be fleshed out: let's force anyone that wants a full system to buy full frame.” So the crop sensor Alpha mirrorless lineup has not seen a lot of action other than updating the bodies to current sensors and technologies. No true performance A (call it the A9). It’s certainly possible to target the Canon 1DxII and Nikon D5, but Sony hasn’t chosen to do that. Well, Sony filled that gap, so maybe I should try for more ;~). Missing A7s Mark III: This one is a slam dunk: we’ll see this gap filled in 2018, I believe. Missing primes: no 20mm, no 24mm, nothing longer than the very big 100mm. This is a system that really needs 135mm, 200mm, 300mm, and maybe even longer lenses. Weak Kit Zoom: the 28-70mm f/3.5-5.6 is a fairly terrible option and needs a complete redo. Fast Telephoto prime: a 300mm f/2.8 and/or 500mm f/4 is now starting to feel like it should exist for this system (the 400mm f/2.8 still isn’t here yet as I write this). And a 200mm f/2 wouldn’t be out of the question. The good news is that we have four very different bodies to choose from, the lens set has improved to the point of being adequate for most shooters (especially the basic zoom trio), and third-party lens support has filled out a lot of options. I need to do more exploration of the flash options for Sony, but my initial impression is that this area could use more work, too. Still, for a fairly new system, the FE side of Sony Alpha has filled out nicely in a very short time, and it’s clear that Sony is emphasizing it over their other ILC choices, so I expect fewer and fewer gaps in the future.